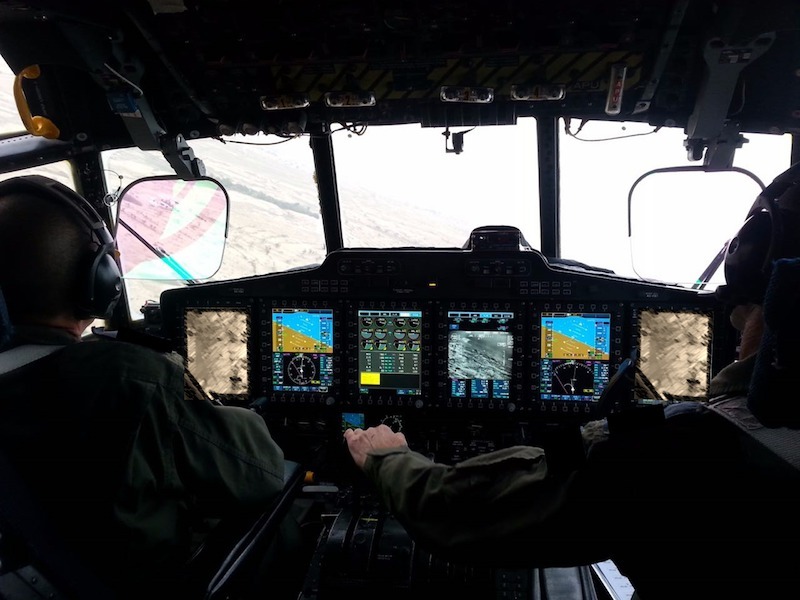 HAIFA, Israel --- Concluding extensive flight testing and verification by Special Operations pilots, Elbit Systems' new Terrain Following and Terrain Avoidance (TF/TA) system was declared operational onboard C-130 aircraft of an unidentified Air Force. The provided TF/TA system is part of an Elbit Systems' lead comprehensive C-130 avionics upgrade program. Elbit Systems' TF/TA system enables military transport aircraft to safely conduct low altitude flights in Instrument Meteorological Conditions (IMC), significantly extending their operational envelope. The Company's TF/TA system combines high resolution ground mapping data from an onboard Terrain Following Radar that is complimented by a Digital Terrain Elevation Database, offering high maneuverability. The system's real-time terrain data processing and advanced algorithms, take into account the aircraft's flight performance characteristics, thus enabling anticipation of variations in the terrain and providing optimized climb/descent commands to keep the aircraft in the selected altitude for the entire mission. Elbit Systems' TF/TA is offered to military air-lifters and helicopters and can be implemented as part of the Company's basic Communication, Navigation and Surveillance/Air Traffic Management (CNS/ATM) avionics upgrade suite or as a stand-alone component.